The world upside its head outside of a window? That would be a nasty surprise opening the curtains in the morning. Especially if the viewer is still in his normal position. 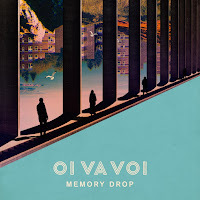 A nice piece of art the artwork of Oi Va Voi's latest album is. The music on Memory Drop is at times just as mystifying. Even after several listening sessions I'm perplexed. Where to start describing this album? One thing was beyond doubt: I liked what I was hearing from the very first time, but how to capture in words what I am experiencing? That has eluded me for some time and still I am not certain whether I will find the right words in time. "Oi Va Voi have long been standard bearers of musical exploration and artistic integrity" heads the bio. Well that is some statement. All fine and well, I do not know another Oi Va Voi album, so this header doesn't help me, does it? Reading on I learn KT Tunstall was a part of Oi Va Voi before starting her solo career. Oi Va Voi is from London with two forming band members remaining. The rest is new with female singer Zohara as a guest vocalist, who takes on a lot of songs with her beautiful, fairly low voice. The arrangements give the songs an East European feel, not unlike De Kift does in The Netherlands or Kaizers Orchestra used to do in Norway. The music incomparable, the feel comes close. Oi Va Voi makes songs that are smoother by far, reminding me of 80s jazzy pop outfits like Matt Bianco or Sade. The songs slide and glide by on a shiny polished surface. By using a violin and a clarinet the music comes out totally differently. In a way that grabs me and speaks to me. The soft, electric guitars underscore songs with 80s rhythms and solos. The Cure without a phaser. The mix of this all spells a beautiful song: 'Big Brother'. An 80s topic with actuality if I ever saw one. Oi Va Voi manages to be quite direct as well. The firm drums and cold bass that propel 'Searchlight' forward make it a very tight song. Everyone is obliged to keep within prescribed boundaries in this song. No escape is possible, underscoring the title. What else are searchlights for when confined? 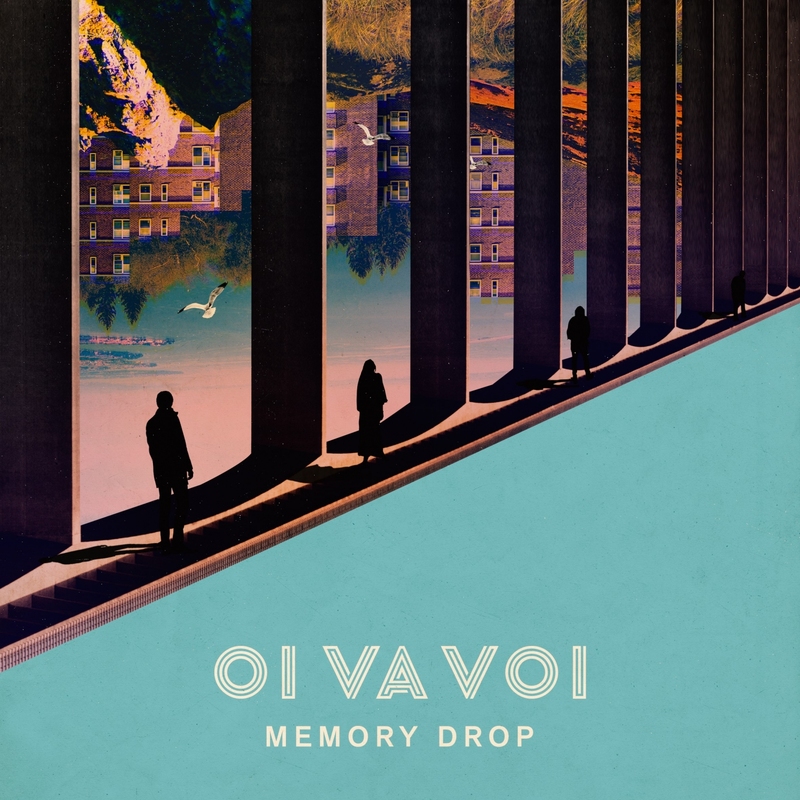 It seems I have found my words listening to Memory Drop once again. Oi Va Voi presents the world with an album that can be extremely soft and dreamy as in 'Through The Maze' and change to a more scary environment in the same song. Yes, I have heard songs like this before, like I have the way dynamics build up the song. Even the use of the clarinet isn't new. Yet, to me it seems this song underscores what Memory Drop stands for. An album with a sound of the past, with an atmosphere like a bellwether for the late 10s. "Things can go wrong, so wrong", The LVE sings in its song 'Love, When You Don't Want It' and that sentence to me seems the undercurrent of Memory Drop. "They who don't understand history are bound to relive it" to loosely quote Pearl Buck. Is that what is meant with the album title?, I don't know. It is the feel the album gives me. No, not a happy note to end this review with but certainly a necessary one in late 2018. To return to the album. Yes, listening to it comes highly recommended. Buying it is certainly a serious option.